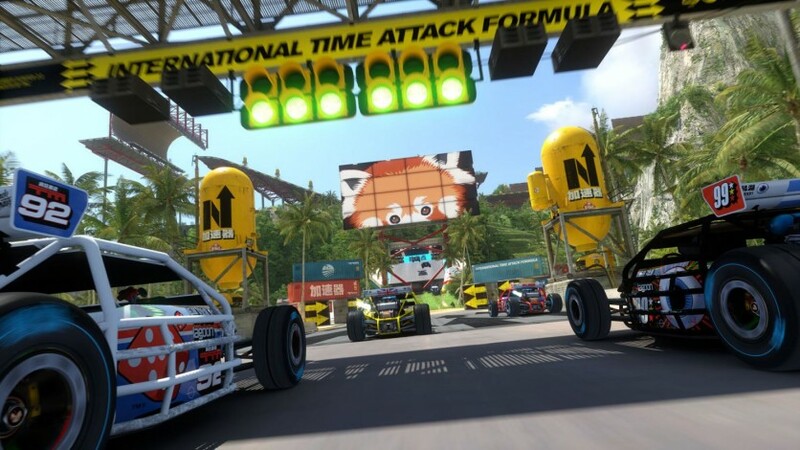 Completely reworked, Trackmania will let you experience a brand new art direction based on racing culture elements. Lagoon Rollercoaster: Defy gravity in a tropical paradise archipelago. International Stadium: Skills and precision are key to master this environment focused on performance. 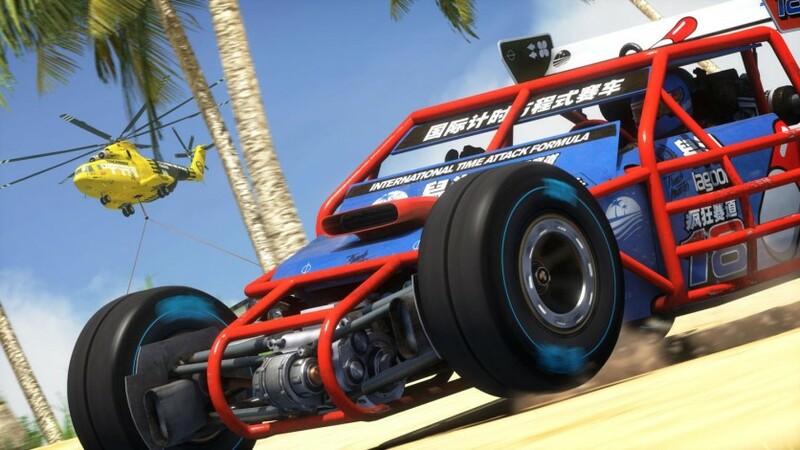 Canyon Drift: Drift your way through this North American grand valley. Dirty Valley: Jump through the hills in an immersive countryside setting. Campaign mode: Test your skills, win medals, unlock up to 200 unique tracks in over 5 difficulty levels, and progress in worldwide rankings. 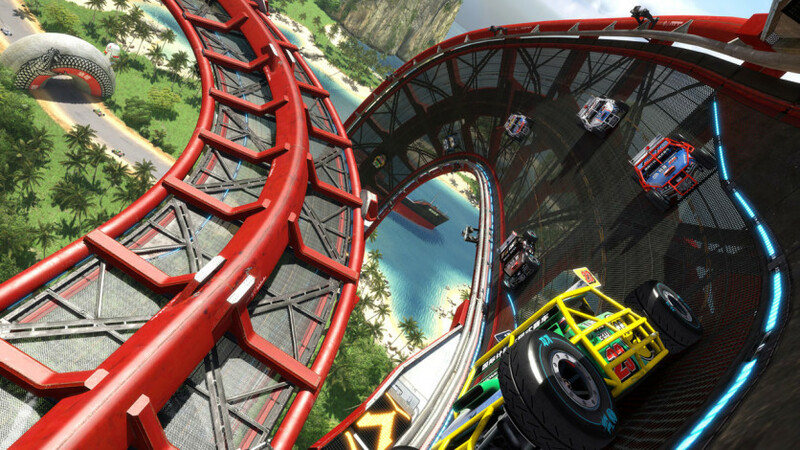 Double drivers: You don’t have to take on the Trackmania challenges alone. 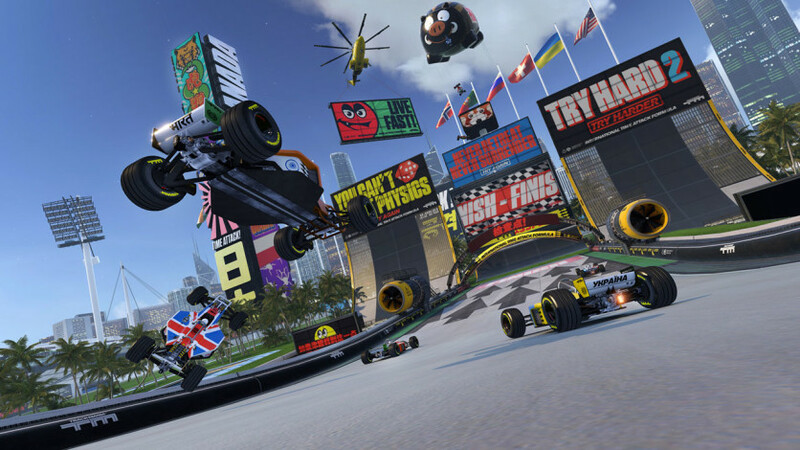 Team up with a friend and control one car with two controllers. Beware! Communicate and stay in sync or you’ll crash! Trackbuilder: Play with this intuitive toolbox to design your own crazy outlandish tracks or spice up your experience by generating random ones. 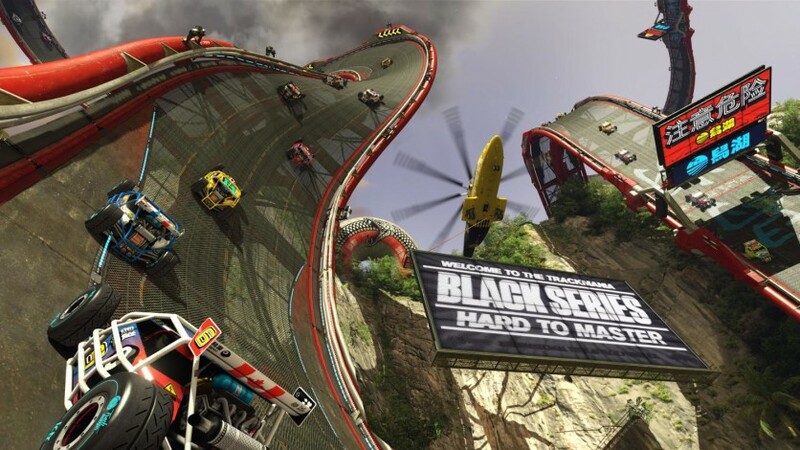 Save and share your best tracks to challenge other players. 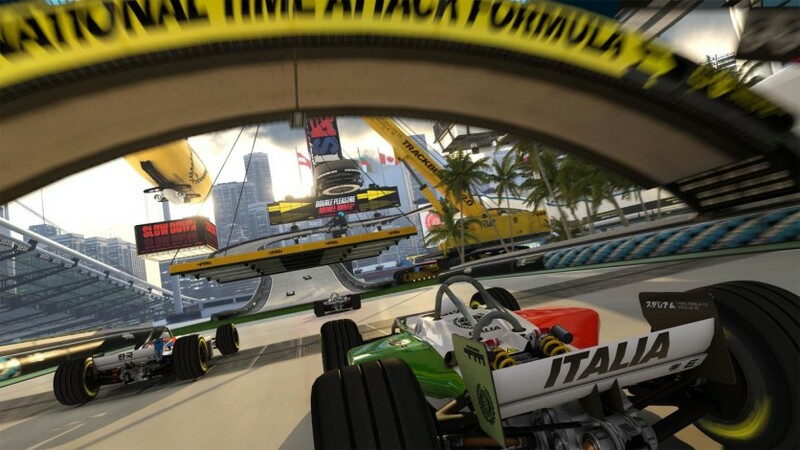 Systemic music: In Trackmania the music is tied to your racing experience, your own skills create variations of intensity & dramatic drops. The music changes as you pass though checkpoints, trigger drifts or achieve jumps, making every race completely unique.